“Who Is He To You” by Monique Mensah centers around a man that is a father, a husband, and a loving but sometimes absent boyfriend. There is a man who is the father to Simone; she is an extremely beautiful teenager who is having a rough time at school because others are envious of her. Because of her beauty and her family’s wealth no one suspects that she is hiding a horrible secret which leads to cutting while alone. There is a man who is married to Jessica, and she is simply happy to get away from her upbringing. There is another man who is the boyfriend of Ryan. Ryan believes their relationship is magic and headed for marriage but the man plays a disappearing act every so often. 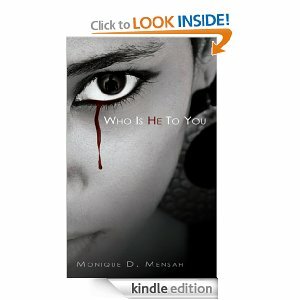 Monique Mensah was able to take three storylines and weave them together with complete details and character development in “Who Is He To You.” This story is not one that has pretty packaging which means it will not make you feel good but it is a story worth reading. 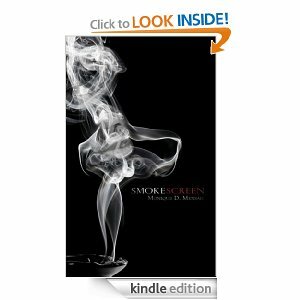 “Who Is He To You” ends on a high note and I am looking forward to reading “Smoke Screen” to see how Monique Mensah continues the dialogue.